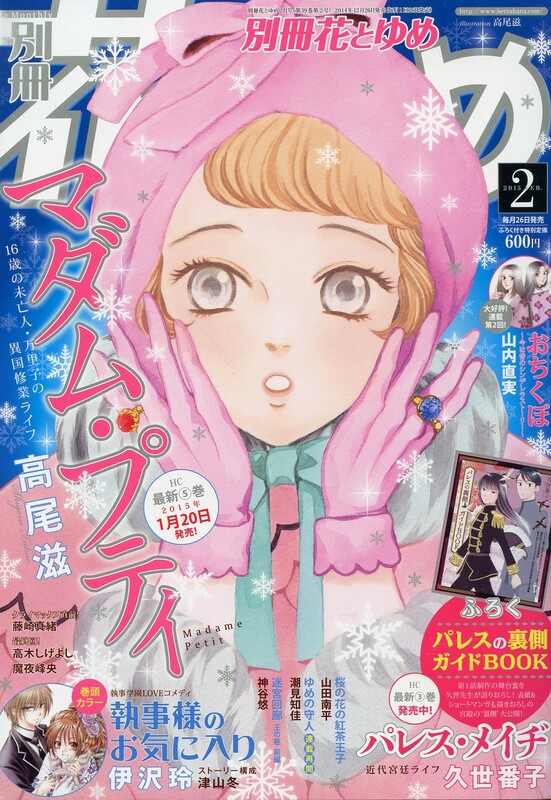 “Madam Petite” by Shigeru Takao is on the cover of the February 2015 issue of Betsuhana. The furoku is a “Palace Maisie” behind the palace guide book. It includes an interview with the mangaka and the editor explaining various series events, character sketches, photos of locations in the story, and an extra short story. 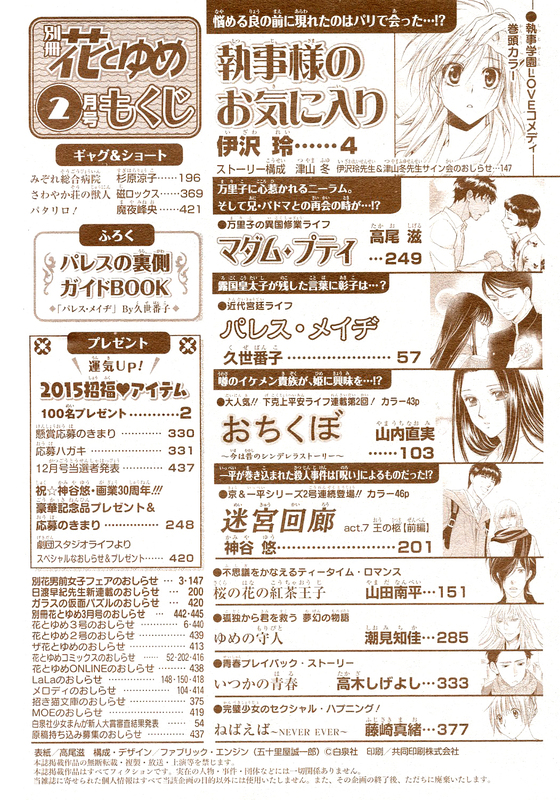 Here is the index listing the contents of the magazine (and series ranking if I’m not mistaken). “Itsuka no Haru” by Takagi Shigeyoshi ended with only 4 chapters. This series was the only reason I was buying Betsuhana. I’m glad I bought the 4 issues with this series because most of the time, Betsuhana series that end in a handful of chapters don’t get tankoubon releases. According to the last page of the series, Takagi’s next work is scheduled to appear sometime in 2015. Here’s a list of the Hana to Yume comics tankoubon releases for January 2015. 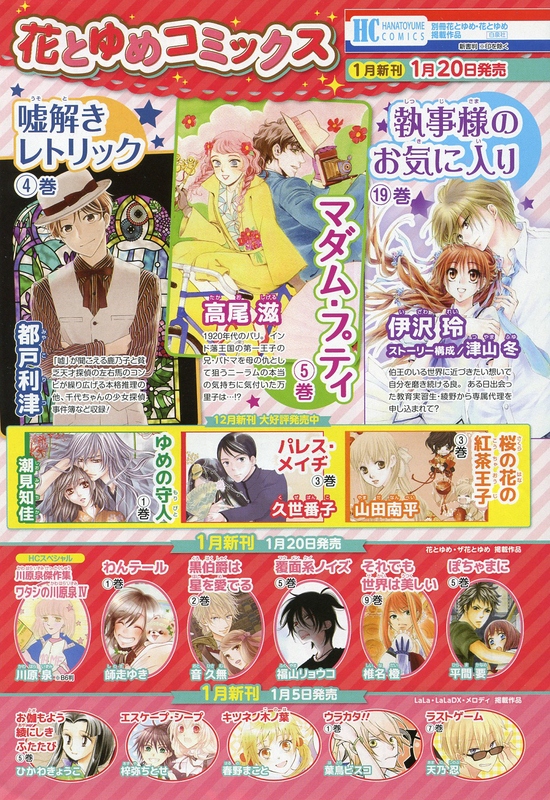 And lastly here are the previews for the next issue of Betsuhana. 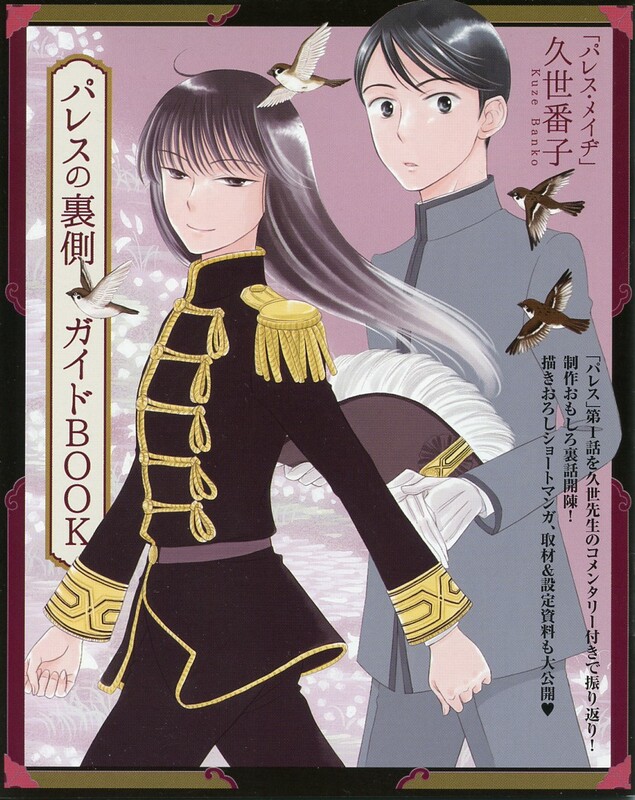 The furoku will be a “Sakura no Hana no Koucha Ouji” clear file. 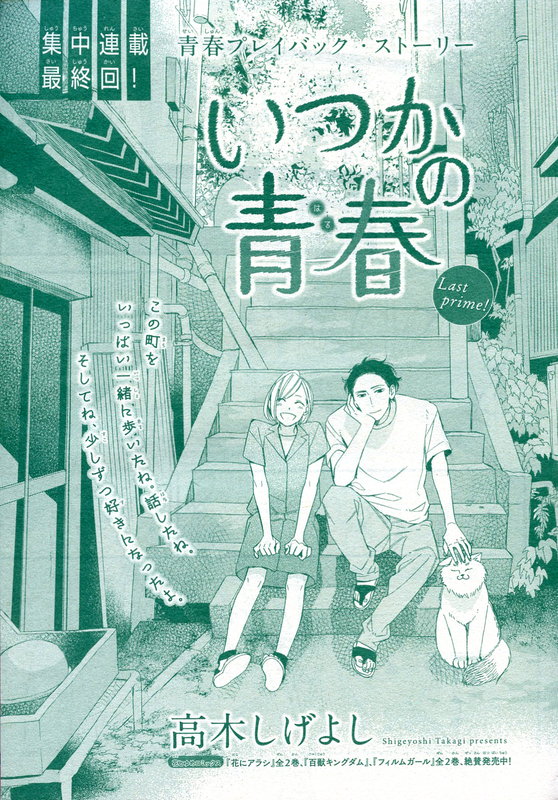 ”Rukureku Kutsu Kobou” by Nobuyo Yamamoto will be the oneshot. This will be the second oneshot. (If I get the next issue of Betsuhana, this will be the reason). The next issue of Betsuhana releases on January 26th.